If you’re on the hunt for a Volkswagen dealer near Freehold, New Jersey, you’re in the right place! Not only is Toms River Volkswagen very accessible from the surrounding areas, but we also provide everything you need to find, finance, and maintain your next Volkswagen vehicle. Below, you’ll be able to learn more about who we are and the many services we offer to our new and returning customers. Let’s get started by learning a little more about the community we’re proud to serve! Freehold, New Jersey, was first occupied by the Lenni Lenape Native Americans. Their hunter-gatherers lived off of this land for hundreds of years until European explorer John Cabot spotted the land from his boat in 1498. In the 500 years following this event, the land was owned by several different countries before it was incorporated as an American township in 1869. Whether you have your wish list ready, or you’re just starting to formulate what you might want and need in your next vehicle, our sales team is here to help. They’ll work with you to learn more about you and help you zero in on the model that fits you like a glove. With 150 new Volkswagen vehicles and a few dozen quality pre-owned cars in our inventory, you’ll have plenty of selection to choose from. No matter what you’re looking for, we’re confident that we have something for you in our extensive inventory. Once our sales team has you matched up with the Volkswagen you want to take home with you, they’ll hand you over to our friendly financing team. This team of finance experts has years of experience in this field, as well as many long-standing relationships with lenders in the community. Armed with these qualities, this team will be able to find you a financing plan that you feel confident about. We even make it easy for you to get a head start on situating your financing. On our website, you’ll find a payment calculator, a shop-by-payment option, and a convenient pre-qualification application. Fill this out before you come in and, if you’re approved, you’ll be in and out of the dealership with your new Volkswagen in no time. 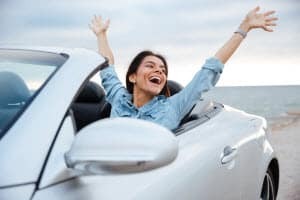 Maintaining your Volkswagen is an important part of being a car owner, but it doesn’t also have to be an unpleasant part. We take the pressure of servicing your vehicle off you by providing you with a convenient on-site service center. Bring your vehicle back any time for all your service needs. Our team of expertly trained service technicians can handle anything you throw at them including small routine maintenance, like oil changes, or extensive repairs. Making a service appointment is easy—just give our service center a call and they’ll have you set up in no time! Find Your Next Volkswagen Today! 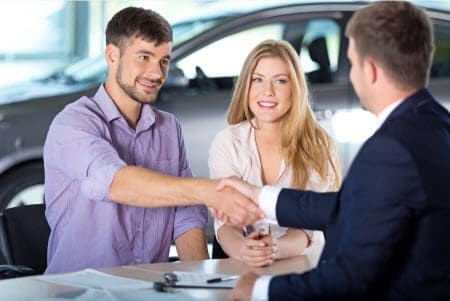 Now that you have a better idea of who we are and what we can do for you at Toms River Volkswagen, we hope you’re ready to get the ball rolling on finding your next vehicle with us. Browse our inventory right from our website today. Then, give us a call so we can get you scheduled for a test drive!